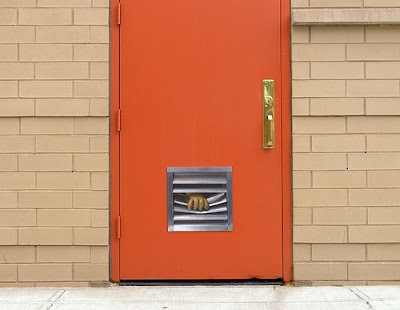 The latest from New York street artist Dan Witz! Sweet! I wish my door looked like that! interesting. how does he make them? Maybe next year I'll have that for my locker!!! I would be cracking up when a teacher got mad at me for shoving someone in my locker! that's genius!!! i agree zodiac gils, it would be hilarious!!! That is cool! It looks real! He's a real genius. I'd love to be able to do that. Unfortunately, in Cow Country, USA, it is considered vandalism. Unless the mayor likes it, when it becomes his idea. 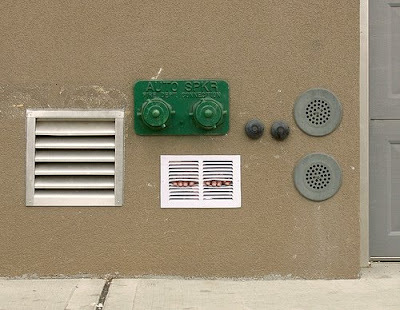 I dont know how Dan Witz does it! Lol, I was like "OMG!!! SOMEONE'S LO- Oh! lol, I get it!" Nice job Dan Witz!